If you’re interested in selling your used car for cash in Honolulu, you’ve come to the right place! Before you go to our online appraisal form, take a minute to think about some of the experiences you’ve had in your car. If you’ve had it for several years, chances are some of what we’re going to talk about below applies to you! 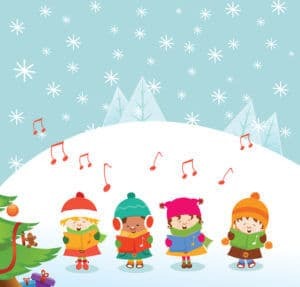 Maybe you and your family, your significant other, the kids, or just you by yourself have sung along to a few Christmas tunes over the years. According to recent news about holiday car travels and the shenanigans that go on, you wouldn’t be the only one. In fact, about two-thirds of families belt out the tunes when riding in the car from one destination to another. When it’s the holidays, what are the top favorites among families? Number one is Jingle Bell Rock, a 1957 classic of recording artist Bobby Helms. Coming in behind this favorite are Santa Claus is Coming to Town and Rudolph the Red-Nosed Reindeer. We Wish You a Merry Christmas is another holiday traveling favorite. As the driver, when traveling long distances no doubt you’ve heard “I’m tired,” I’m hungry,” or “I have to go to the bathroom” more times than you can count. You’re not the only one; according to the data gathered among those surveyed, drivers hear these exact words on average six times each throughout the holiday traveling season. Just a few fun facts about being in a car during the Thanksgiving and Christmas holiday season. It’s fun and exciting and at the same time, super-tiring! At CarMark Hawaii we buy used cars for cash in Honolulu. You can get the cash you need now, so make it easy on yourself.